Dong Xu, Jianlin Cheng, Henry Nguyen, and Gary Stacey. Developing a Web Server for Soybean Translational Genomics. Missouri Soybean Merchandising Council (MSMC). Henry Nguyen, Gary Stacy and Dong Xu. Construction of Proteome and Metabolome Maps of Soybean to Improve Yield and Value-Added Traits. United Soybean Board. Henry Nguyen, Gary Stacey and Dong Xu. 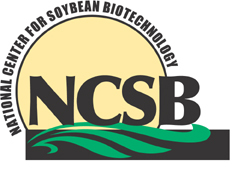 National Center of Soybean Biotechnology. Gary Stacey, Dong Xu and Jianlin Cheng. GEPR: Soybean Root Hairs, a Model for Single-cell Plant Biology Developmental and Environmental Responses. National Science Foundation. Gary Stacey, Dong Xu and Jianlin Cheng. Systems View of Root Hair Response to Abiotic Stress Developmental and Environmental Responses. Department of Energy-US Department of Agriculture.